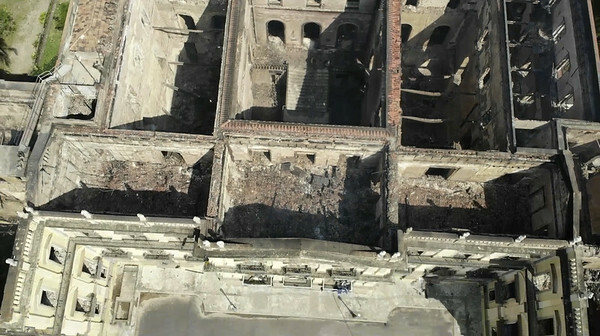 RIO DE JANEIRO - Firefighters found bone fragments from a collection in the still-smoldering National Museum, an official said Tuesday, raising hopes that a famed skull might somehow have survived a massive blaze that turned historic and scientific artifacts to ashes. Investigators were first allowed to enter the main building Monday, but it is still off-limits to researchers. Instead, some scientists were focusing attention on an annex on the site, where vertebrate specimens were housed. The fire didn’t reach the area, but it caused the electricity to fail, threatening some artifacts. Posted in New Britain Herald, Nation-World on Tuesday, 4 September 2018 18:59. Updated: Tuesday, 4 September 2018 19:01.